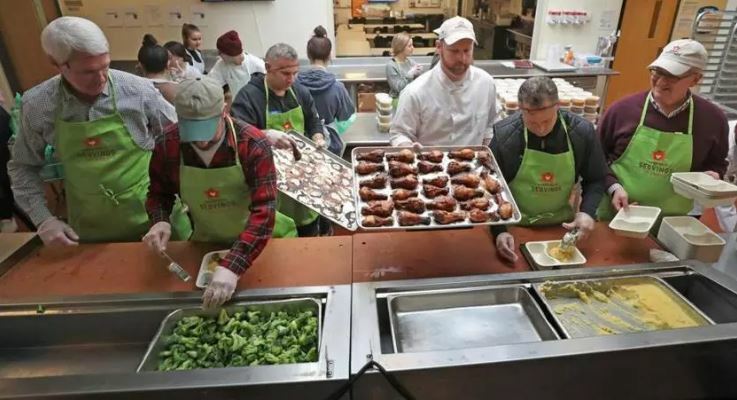 Boston chefs cooked up a storm at Community Servings in Jamaica Plain Monday afternoon. 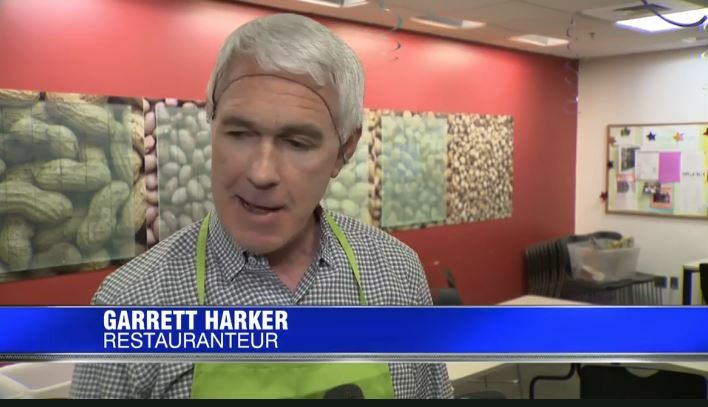 Garrett Harker — the owner of Easter Standard and Island Creek Oyster Bar — rounded up some of his culinarily inclined friends, including David Bazirgan (Bambara Kitchen & Bar), Louis DiBiccari (Create Boston), and Andy Husbands (The Smoke Shop) to help prepare meals for homebound and ill individuals. Community Servings’ executive chef, Brian Hillmer, and CEO, David Waters, also joined the group. Community Servings delivers meals to people who may be too sick to prepare their own. WBZ-TV’s David Wade reports. Restaurateurs from places like Eastern Standard, The Smoke Shop, and Bambara prepared meals with Community Servings, an organization that provides thousands of made-from-scratch meals a week to people with critical or chronic sickness.